Coming from Cherbourg, Caen and Saint Malo head towards Rennes then Nantes. Approaching Nantes from the North on the N137 follow signs to Noirmoutier and embark upon the ring road/périphérique ouest and over the Cheviré Bridge across the Loire. Soon after leave at junction 52a and follow the D723. Continue for 6 km (3.7miles) then take the D751. 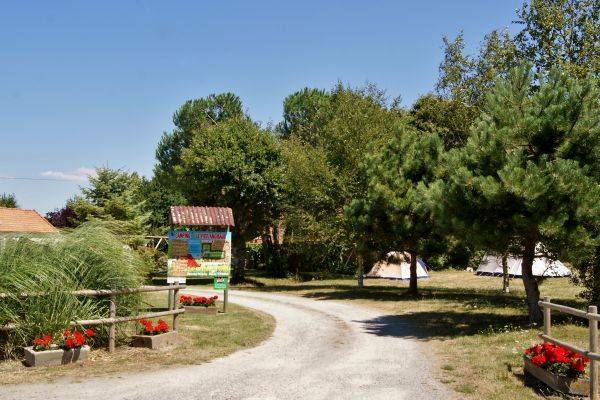 After another 9 km (5.6 miles) continue to the town of Bougneuf-en-Reiz where you will need to turn left at the traffic lights taking the lorry route around the town, thus avoiding narrow streets in the centre. Turn right onto the D13, turn left at the roundabout onto the D758 to Bouin. In Bouin turn left at the traffic lights onto the D21 sign posted Bois-de-Céné. After 2km (1.2 miles), at the crossroads turn right onto the D59. 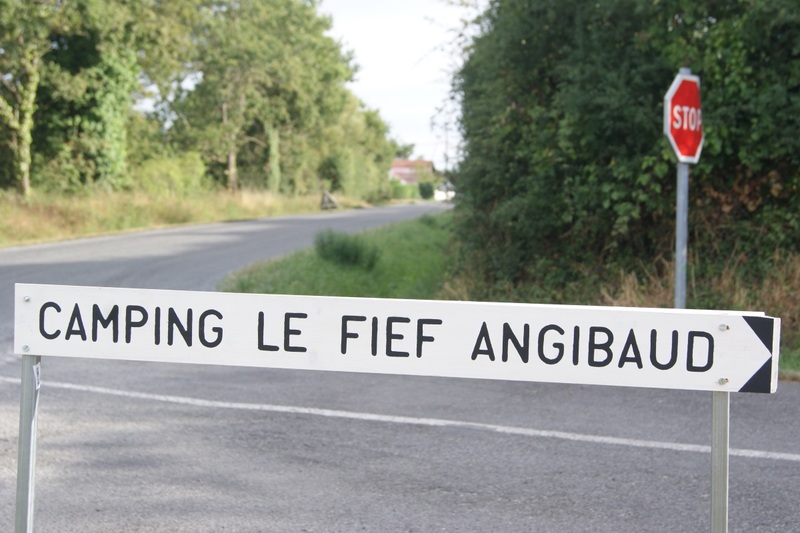 Continue for 5.5 km (3.4 miles) following signs to Saint Gervais then turn right into the narrow road sign posted Camping Le Fief Angibaud. After 600m, turn right into the campsite. Our campsite can sometimes be tricky to find. We are located just off the D59 which runs in two directions, North from Bouin and South from Saint Urbain. When arriving on the D59 from the South you will come to a roundabout in the village of Saint Gervais with the church on your right. Turn right here, go past the Post Office and Mairie and take the next left turn. Continue for 1.5 Km past a chapel and crossroads. After the crossroads turn next left, then the campsite is 600m on your right. 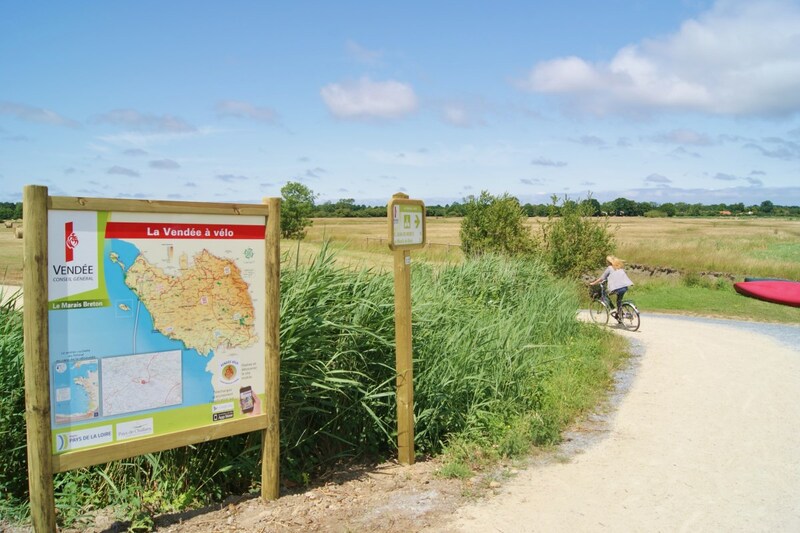 Coming from Challans on the D948, direction Noirmoutier, you will come into the village of Saint Gervais, about 12 Kms. After passing the Logis restuarant and small hairdressers turn right on the D59 towards Bouin. Continue for 1.5 Km past a chapel and crossroads. After the crossroads turn next left, then the campsite is 600 m on your right.